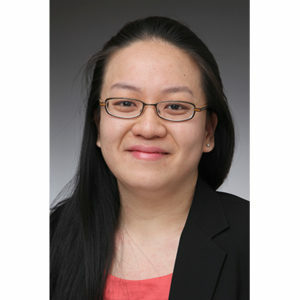 Ligee Gu joined the firm as an associate in 2010. Ms. Gu’s bankruptcy practice includes representing debtors, committees of unsecured creditors, individual creditors, estate representatives, and liquidation trustees. She has also handled both preference and fraudulent conveyance actions. Ms. Gu has experience in commercial litigation matters, including cases involving breach of contract, breach of fiduciary duty and fraud. In addition, she has worked on insurance coverage litigation and collection actions. Prior to joining the firm as an associate, Ms. Gu interned with the firm during the summers while she attended college and law school. As an intern for many summers, she learned the nuts and bolts of bankruptcy practice and procedure. Ms. Gu received her B.A. in Philosophy, Politics, & Law and History, with a minor in Economics at Binghamton University in 2007. She received her Juris Doctorate from New England Law-Boston in 2010 where she was on the Dean’s List. While in law school, Ms. Gu interned at the Office of Attorney General of Massachusetts in the Consumer Protection Division. In her last year of law school, Ms. Gu was a judicial intern at the Suffolk County Superior Court in Boston, Massachusetts with the Honorable John C. Cratsley and the Honorable Bonnie MacLeod. As an intern, she researched various civil issues and prepared draft opinions for the court. In addition, during the summer of 2008, Ms. Gu interned at the New York Supreme Court-Kings County for the Honorable Michelle Weston. Ms. Gu is admitted to practice law in the State of New York, including the U.S. District Courts for the Southern and Eastern District of New York. She is a member of the American Bankruptcy Institute, International Women’s Insolvency & Restructuring Confederation, and Turnaround Management Association. In addition, Ms. Gu was elected to the Board of the Asian American Bar Association of New York (AABANY), where she serves as the Recording Secretary, and is the co-chair of AABANY’s Commercial Bankruptcy & Restructuring Committee.